You mean us ladies (and gents!) can have flowers all year WITHOUT watering or pruning or worrying?? Thanks to Silvia, we can! 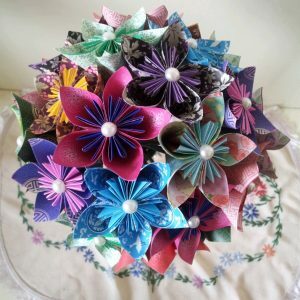 The beaded accents, colorful and unique paper designs make these flowers even better than the real thing. I am a fine art graduate and wanted to be an oil painter. I LOVE espresso Italian coffee and could drink gallons of it and still feel sleepy for bed! 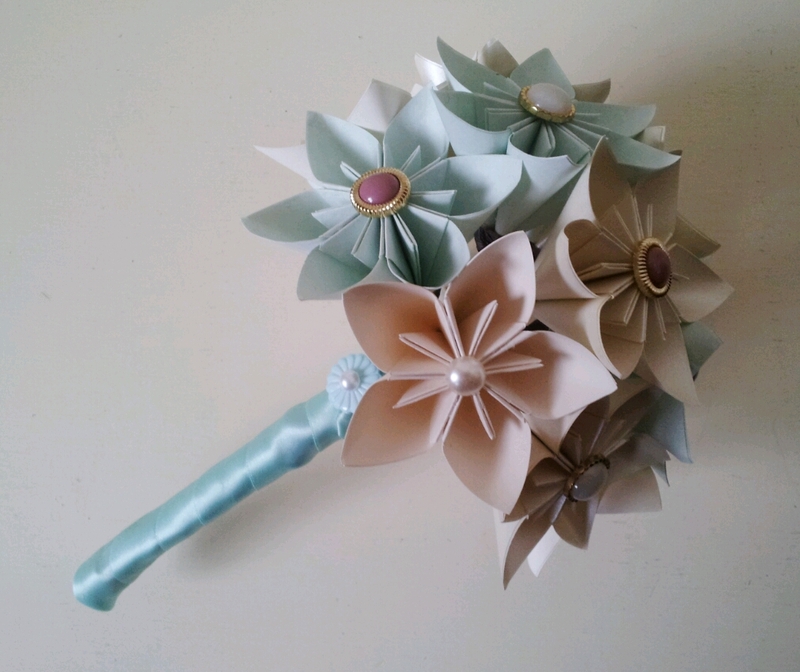 When I had my daughter and was on maternity leave, I used the time in between caring for her to make paper flowers. I found the process of measuring, cutting and folding ithe paper incredibly fun and relaxing. I then started to play with colour and patterns and from there, I have grown! My initial inspiration was the lily flower. It has been my favourite bloom since I can remember. Colour combinations are also a huge inspiration. I love toying with colours people may instinctively feel clash and creating arrangements which prove otherwise. Vintage trims are also a big inspiration. I love old buttons and embellishments and will be incorporating them more in my work in the future. 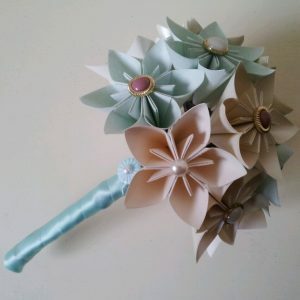 I also gain inspiration from brides who come to me to make custom bouquets for their special day. Recently I have had briefs such as: robot theme, watermelon colours and circus theme. Sometimes the ladies share their mood boards, other times I am left to create alone. Either way, I gain inspiration and I love the challenge of sourcing the perfect patterned papers and seeing the creation develop. Recently I created a large bouquet of mixed paper flower blooms which I named "Fantasy Flowers". 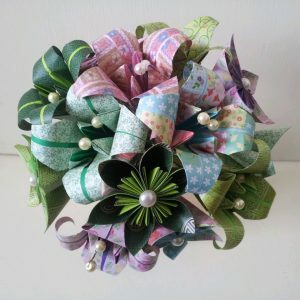 The bouquet is a mix of tulips, daisies and lilies in limes, lilacs and pinks. I wanted to create a totally wild yet beautiful and bright piece which would really stand out and have passers by talking. The bouquet was destined for a school staff room office so I really wanted to make it vibrant and fun. I spent a while deciding on the colour and pattern conbination with the aim to make it as eye catching as possible. I then began the process of measuring and marking up the papers before cutting and folding them. At this stage I assess the colour balance before mounting the blooms on stems. With every bouquet or arrangement, I arrange the stems decoratively either twisting, plaiting or folding them. I like to add ribbons and at times, vintage trims to finish the pieces with and extra sparkle. I'd like to think of my flowers as far more than just paper!! I sell via my website lilybellekeepsakes.com and my facebook page 'Paper Flowers by Lily Belle Keepsakes'. I also have online shops on Etsy and Folksy and this year, I will be getting more involved with craft fairs in my area. Handmade is unique and individual. You know where your item has come from.and the love, care and attention that has gone into creating the piece. You can't beat it really!